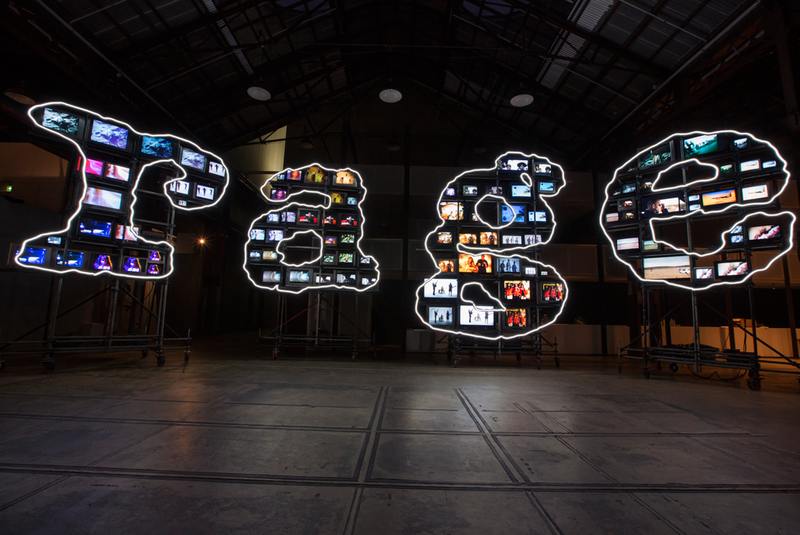 As part of Vivid Sydney 2012, a large scale installation of televisions will fill Carriageworks to celebrate 25 years of rage on ABC TV. rage has documented the history of music video while inspiring generations. Since the first broadcast in 1987 on Friday 17 April, rage has beamed into our lounge rooms with guest programmers, specials and all-night video mix tapes. It is the longest running music television program still in production and continues to reflect the Australian taste. The exhibition will explore the influence and legacy of this legendary TV show. It will feature music videos from Australia and around the world, celebrating this extraordinary time in music and the advancement of video production over the past 25 years of rage. See archived footage of guest hosts such as Nick Cave, You Am I, Blondie, Radiohead, Kylie Minogue, Silverchair, MGMT, Metallica, Sonic Youth, Grandmaster Flash, Michael Hutchence, MIA, Yeah Yeah Yeahs, Beck, Malcolm McLaren and many more. Presented by Carriageworks and ABC.